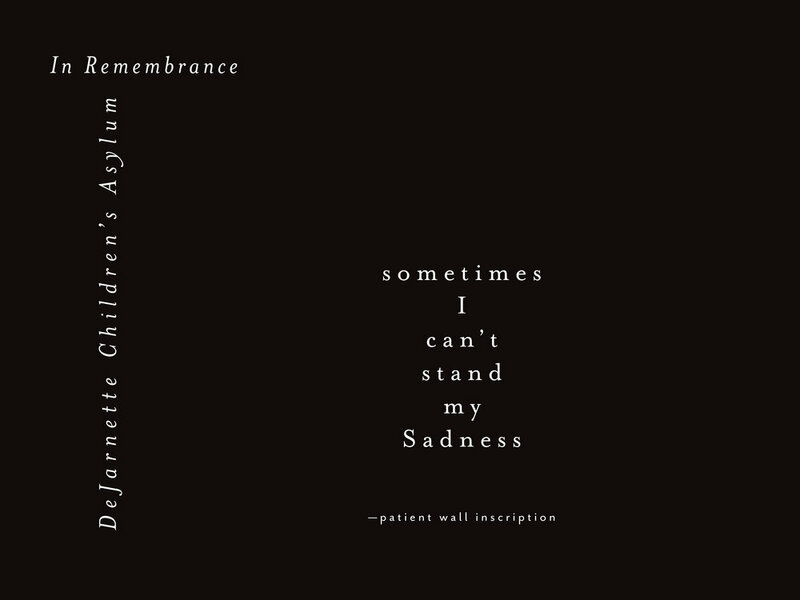 "sometimes I can't stand my Sadness"
The Dejarnette Center for Human Development was the sister asylum to Western State, which operated a few miles away in downtown Staunton, and catered to adolescents. In " A Beautifully Broken Virginia", I felt that the exterior of the asylum deserved to be captured in the cold and dark of the winter night. Given what occurred within it's walls, it just felt appropriate to shoot it in those conditions. I often get questions about the associated inscription in the book, "sometimes I can't stand my Sadness". As a commemoration to "The Briar Rose", the little girl that wrote it on her wall, I wanted to share with you the original image, captured at night and visible only by headlamp. It was a profound and emotionally powerful discovery. I often think about "The Briar Rose". Who was she? Why was she there? Is she still alive? One day it would be nice to find out. Here is her inscription......and yes....."S"adness deserved to be capitalized in the book.